Bailee Madison Stuns in Bibhu Mohapatra at Hallmark’s TCA 2019 Party | Bailee Madison | Just Jared Jr.
Bailee Madison sparkles in a gorgeous dress during Hallmark Channel And Hallmark Movies And Mysteries’ 2019 Winter TCA Tour Party held at Tournament House over the weekend in Pasadena, Calif. 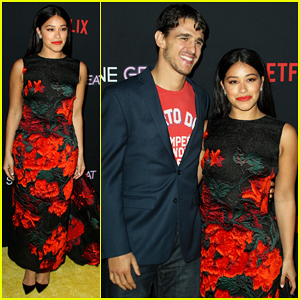 The 19-year-old actress brought along sister, Kaitlin Vilasuso, as her date for the annual event. During the party, it was announced that Good Witch would be returning on Sunday, May 5th! If you don’t know, Bailee stars as Grace in the long running series on Hallmark. FYI: Bailee wore a Bibhu Mohapatra dress with Melinda Maria jewels. 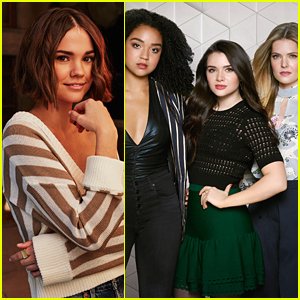 Could Bailee Madison Return as Sophia Quinn on 'Good Trouble'? Wizards' Selena Gomez & Bailee Madison Reunite for a Snow Day!